A consortium of local NGOs in Nigeria is launching an appeal fund to support the Internally Displaced Persons (IDPs) in the North-East. According to the UN (as indicated in the flyer below) about 470,000 have fled their homes since 2013. Please donate and assist, where you can. Details in the flyer attached. 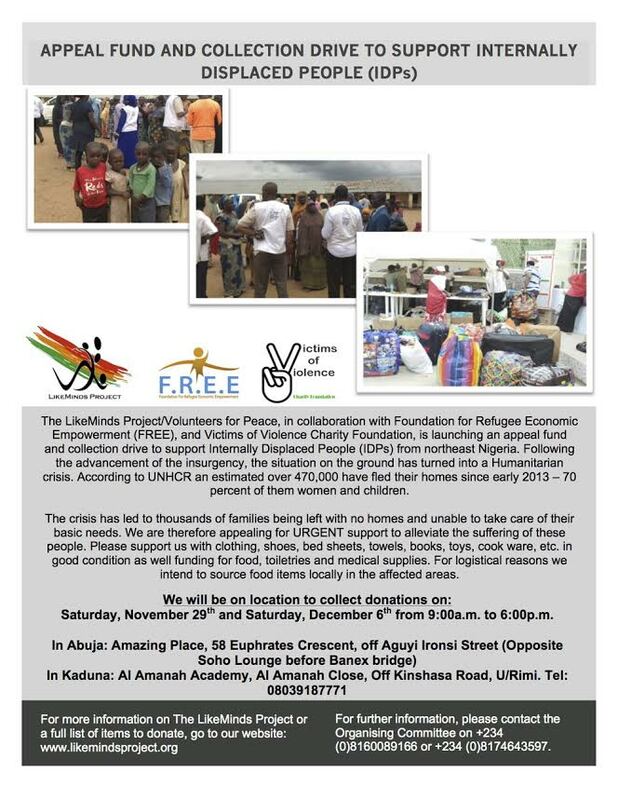 By the way, there are a number of such citizen-led initiatives led by local organisations, assisting IDPs and other victims of violent insurgency. They are mostly spearheaded and led by women. From time to time, I will post information about such initiatives and details on how to get involved.